Who hasn’t heard about one of the most peripheral figures in the history of Science. It would be clearly vague to mention gravity, motion, mechanics, calculus, optics and binomial series without attributing it’s existence to the intelligence of Sir Issac Newton. Today on science corner, we bring you eleven fun facts about the English scientist. 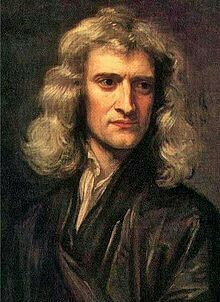 1.Sir Isaac Newton was born on 25th December 1642. 2.Newton was raised by his grandmother from age 3 to 17 after his mother left him to remarry. Meanwhile, Newton’s biological father as named Isaac Newton died three months before his birth. 3.By October 1659 at the age of 17,Newton’s mother attempted to make him a farmer but on a second thought with advice from Henry Stokes ,who was Newton’s school master, his mother sent him back to school to complete his education. 4.Newton made remarkable contributions to the field of Mathematics, Physics, Alchemy, Natural philosophy, Economics and Astronomy. 5.Newton is credited with the invention of the first reflecting telescope. 7.Newton was the second of 17th century scientists to become a knight. The first was Francis Bacon. 10.Although their are claims he may have been engaged ,Sir Isaac Newton never got married. There is even a widespread belief that he died a virgin. 11.Sir Isaac Newton died in his sleep on 30th March 1726 aged 84. You didn’t know these, right? Spread the word about Innovative Future.